In all things useful, experience gets you a lot further than blundering in half-blind. Shooting is one activity where this goes double, even for the most experienced shooters out there who know their firearm parts down to a tee. The point is that having a few range sessions under your belt can help a lot when the time comes to actually use your gun for something important. You just need to practice a lot, and shoot correctly. There are too many gun owners – many of them self-proclaimed survivalists – who are unconsciously incompetent in the use of guns that they may own. 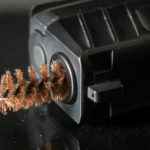 Buying, cleaning, disassembling, accessorizing, and carrying a gun are all important, but shooting is what the equipment is essentially meant for. In other words, seeking out firearm accessories is well and good, but you should know how to shoot your gun properly. Visiting the gun range and repeatedly pulling on the trigger is nothing more than random shooting. Keeping it too casual or haphazard means that you are wasting precious ammo, not to mention your time. While it does let you vent, this is not enough to hone your skills enough in preparation for crucial situations. 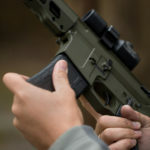 A person serious about learning to shoot needs the right initial orientation training in using their firearm of choice. If you have a three-gun set, you will need training in all those guns. 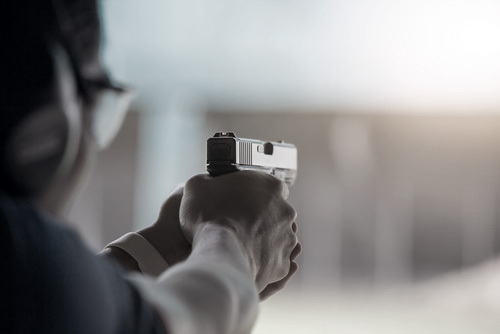 When it comes to formal training, you can pick among different types, including basic pistol, concealed carry, advanced defensive pistol, defensive pistol, lethal force, defensive shotgun, and advanced AR-15. If this seems too tedious at first to a gun owner, they should remember they bought a gun before properly training themselves how to use it. 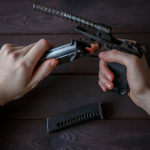 Newbie gun buyers often neglect to shoot their firearm even occasionally, preferring to leave it in a closet or drawer, or even the original box. When the time comes that they need it for protection, what ensues is the kind of blustering debacle where typically, the wrong person gets hurt. 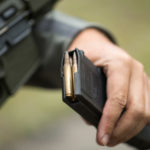 Even if all-out survival preparation is not a priority, it makes an immense amount of basic sense to learn how your weapon can be used to stop someone in their tracks. The easiest approach is to simply ask. Inquire about good ranges while making your gun purchase, and grab related flyers and business cards you being handed out on the street. Even better, if your gun store has a range out back, that should be as good a place as any to start learning the basics.